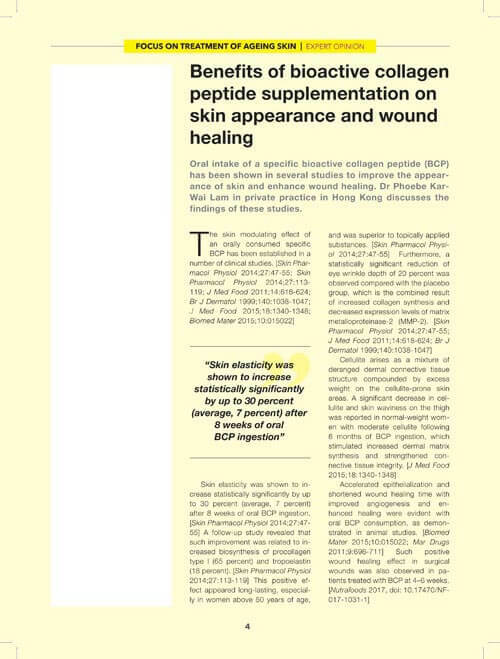 Oral intake of a specific bioactive collagen peptide (BCP) has been shown in several studies to improve the appearance of skin and enhance wound healing. Private practice in Hong Kong discusses the findings of these studies. The skin modulating effect of an orally consumed specific BCP has been established in a number of clinical studies. Skin elasticity was shown to increase statistically significantly by up to 30 percent (average, 7 percent) after 8 weeks of oral BCP ingestion. A follow-up study revealed that such improvement was related to increased biosynthesis of procollagen type I (65 percent) and tropoelastin (18 percent). This positive effect appeared long-lasting, especially in women above 50 years of age, and was superior to topically applied substances. 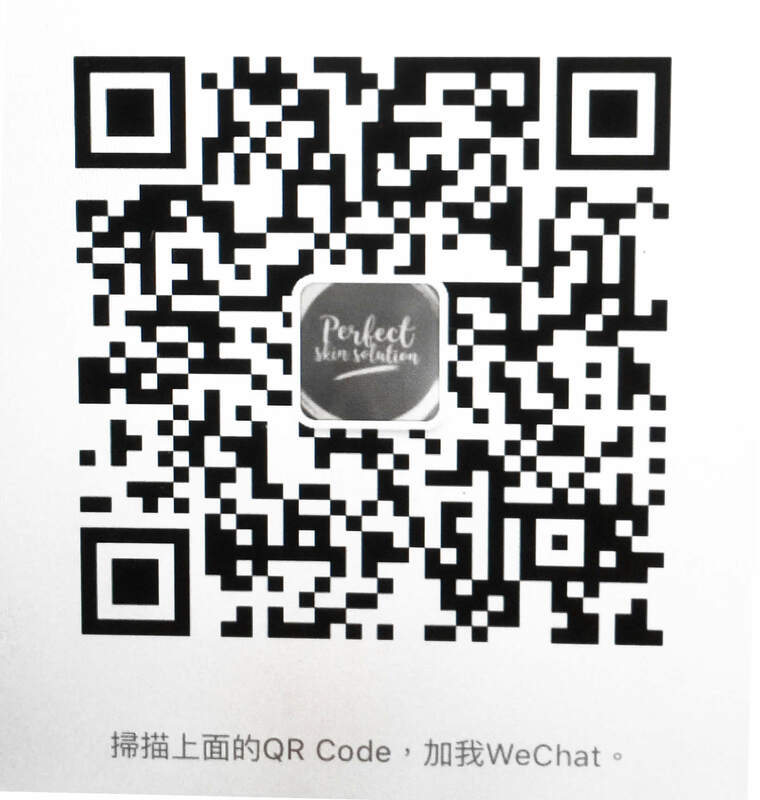 Furthermore, a statistically significant reduction of eye wrinkle depth of 20 percent was observed compared with the placebo group, which is the combined result of increased collagen synthesis and decreased expression levels of matrix metalloproteinase-2 (MMP-2). Cellulite arises as a mixture of deranged dermal connective tissue structure compounded by excess weight on the cellulite-prone skin areas. A significant decrease in cellulite and skin waviness on the thigh was reported in normal-weight women with moderate cellulite following 6 months of BCP ingestion, which stimulated increased dermal matrix synthesis and strengthened connective tissue integrity. Accelerated epithelialization and shortened wound healing time with improved angiogenesis and enhanced healing were evident with oral BCP consumption, as demonstrated in animal studies. Such positive wound healing effect in surgical wounds was also observed in patients treated with BCP at 4–6 weeks.